Looking for the Best Prices and Selection on Jeep parts? 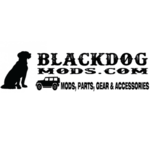 Have you checked out Black Dog Mods yet? Feel free to reach out to me if you need anything at all.